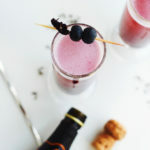 These Blueberry Lavender Prosecco Mimosas are a floral, fruity, and bubbly libation that’s perfect for summer entertaining, and pretty to boot. It’s slowly creeping in, in between the Pacific Northwest rain and overcast days. For the past few weeks, we’ve only had a handful of sunny, warm days. When we do have them, I take full advantage. I bring my work outdoors and dare not leave my porch, even with the bees and hoards of flies who try to regain their territory from me. I stand my ground and sip my tea as Cocoa lays at my feet and naps. We both happily accept the sunshine. Last week, the temperature climbed to a perfect 79 degrees. It was a gorgeous day and we knew that we couldn’t spend it inside. We ate dinner in the backyard, had a bonfire, played card games, and I made these Blueberry Lavender Prosecco Mimosas. It’s no surprise that I’m a huge fan of anything bubbly, and I’m pretty sure you guys are, too. 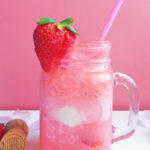 Our Sparkling Strawberries and Cream Champagne Floats are P&P’s most shared recipe. 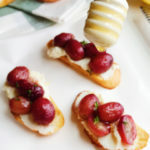 When I made these bubbly beauties for my husband and I, I knew they deserved a place on the blog. One thing I love about my husband is that he doesn’t care what other people think. It’s a quality I admire and wish I had myself. He will walk Cocoa with a bright pink leash and foofy floral collar without a blink of an eye. He will go get a pedicure with me. And he will order and drink girly cocktails without any issue at all. But my husband is very masculine and very bearded, which actually makes the sight of him drinking a girly cocktail even better, I think. 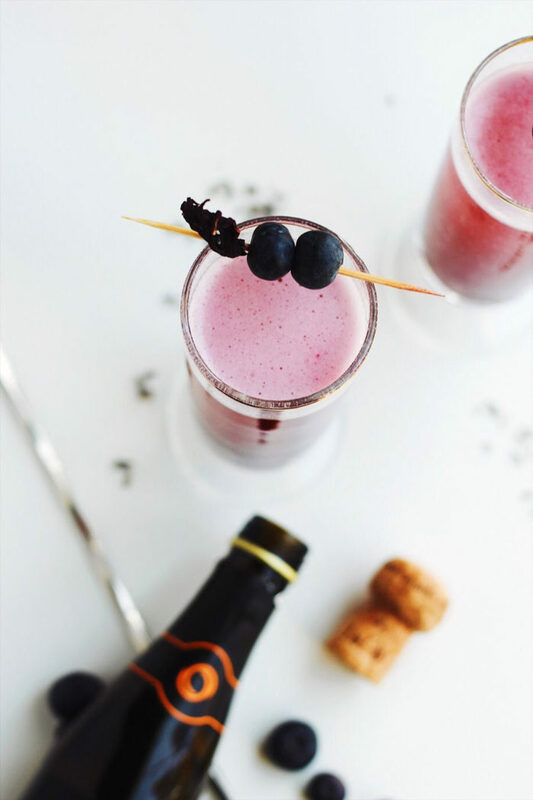 And he loved these Blueberry Lavender Prosecco Mimosas. What’s not to love? 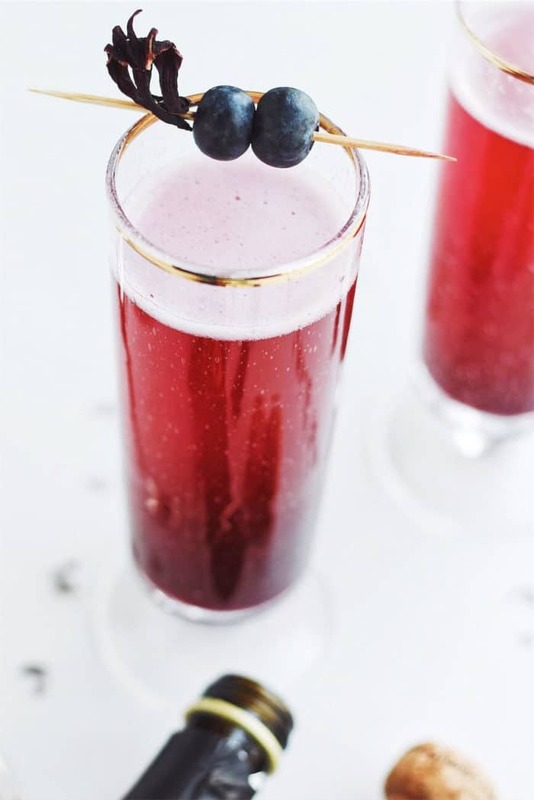 These ruby, bubbly beauties are refreshing, fruity, and not overly-sweet. 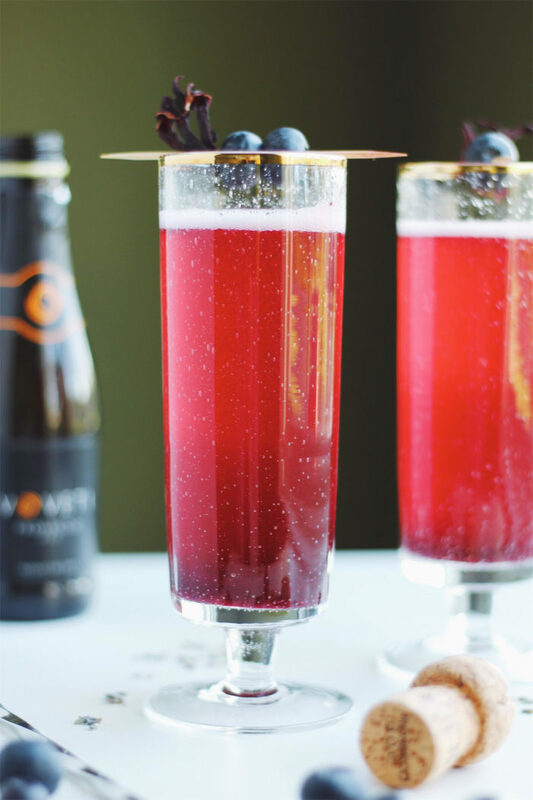 The lavender adds a lovely floral note to these mimosas. I’ve always been a huge fan of lavender, even more so in spring. 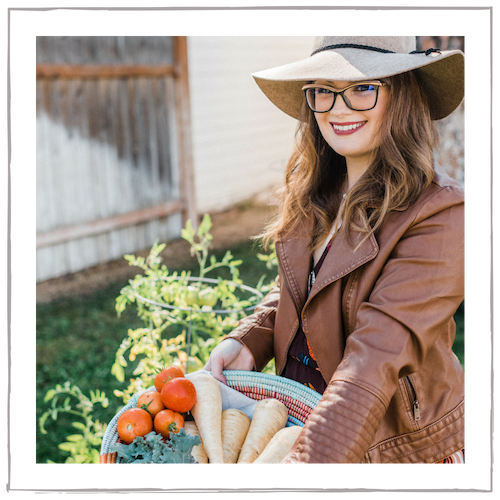 I just started my backyard garden and planning my landscaping, which will definitely include plenty of fresh lavender bushes. But for now, dried lavender works just as well. The blueberry lavender syrup is really simple to make and it can be made ahead. 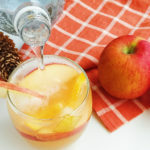 No blending is required, but make sure you have a fine mesh strainer to keep the mixture smooth. 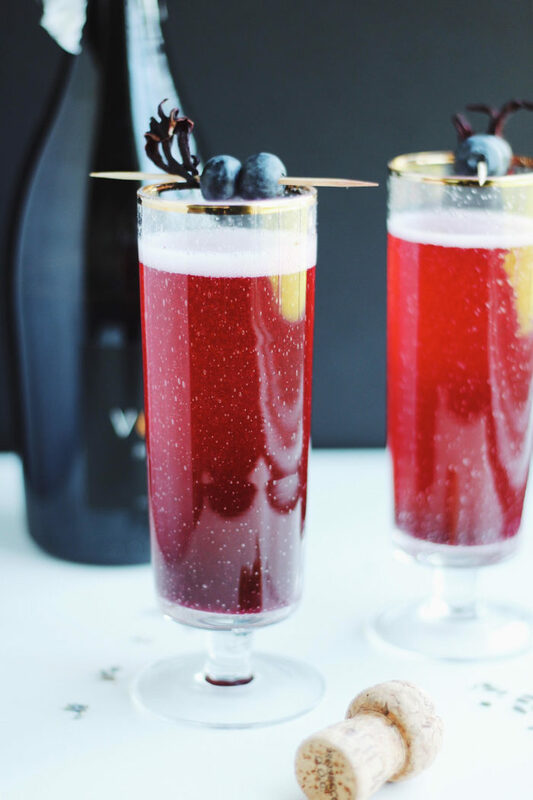 My bubbly of choice for these Blueberry Lavender Prosecco Mimosas is Voveti Prosecco. The dry brut Prosecco is crafted from 100% Glera grapes and features a fruity palate with notes of pear, melon, green apple, and ripe peach. 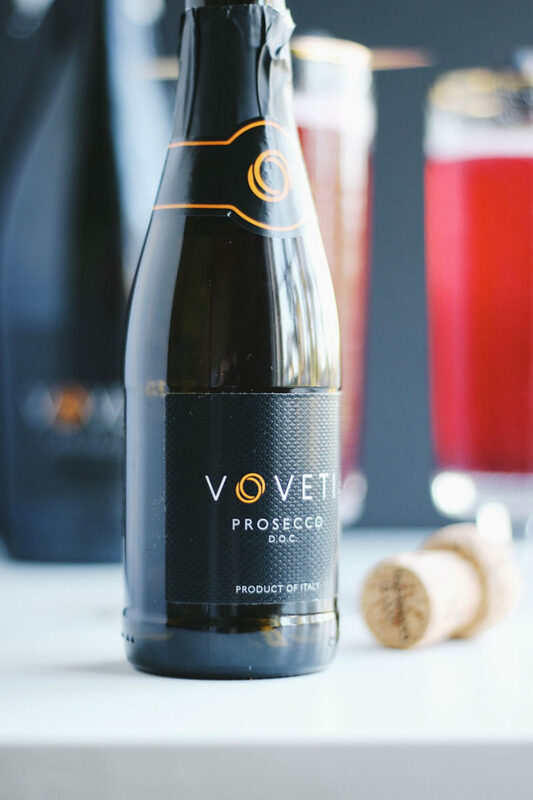 What I love most about Voveti is that it’s not too sweet and it’s perfect for building cocktails and drinks. Nothing makes me happier during the summer than the sound of opening a perfectly chilled bottle of this Italian Prosecco. 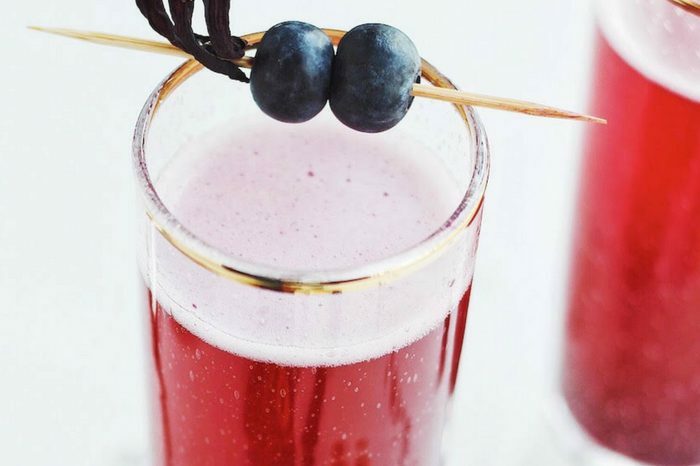 I would be more than content with just pouring myself a glass, but this blueberry lavender version is a fruity, unique addition to your summer cocktail repertoire. And what a perfect summer cocktail these mimosas are. 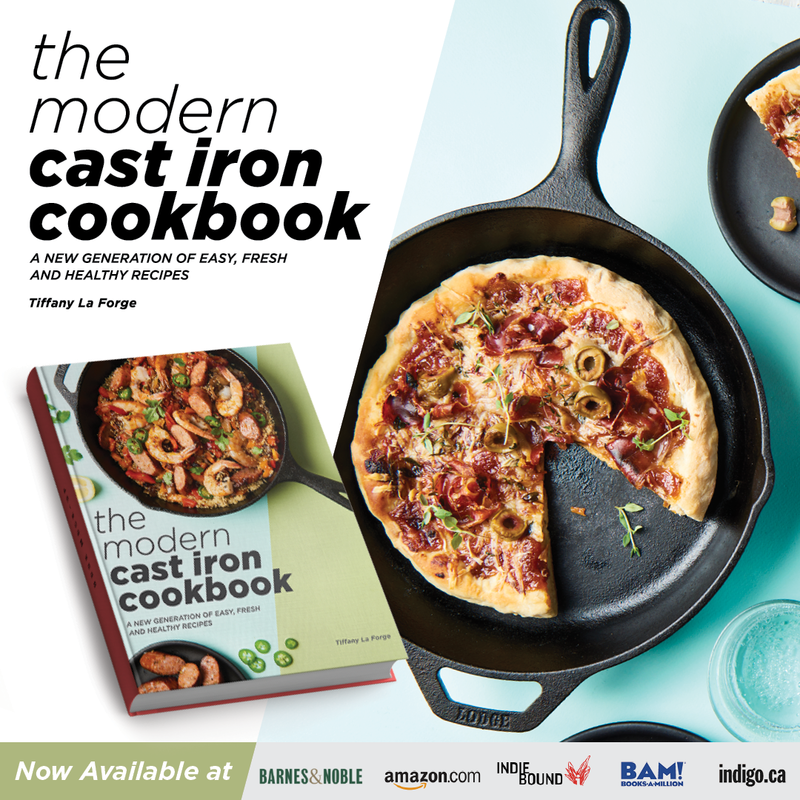 They would be lovely at a weekend brunch, a girl’s night, a bridal shower, or a warm summer evening outside gathered around the fire with friends. I’m a firm believer that mimosas and Prosecco/champagne cocktails shouldn’t be limited to just brunch. Do you agree? 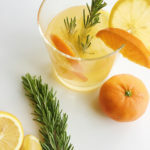 If you’re not entirely convinced, I hope these mimosas will help you change your mind! Combine the blueberries, water, and sugar in a pot. Bring the mixture to a boil and simmer a minute or two until the blueberries break down and the syrup becomes a bright purple. Add in the dried lavender, low simmer another minute, and remove the syrup from the heat. Let the syrup infuse and cool, about 15 minutes. Strain the mixture through a fine mesh strainer, pressing down firmly on the blueberries with the back of a spoon, and stir in a squeeze of fresh lemon. Refrigerate the syrup until chilled. 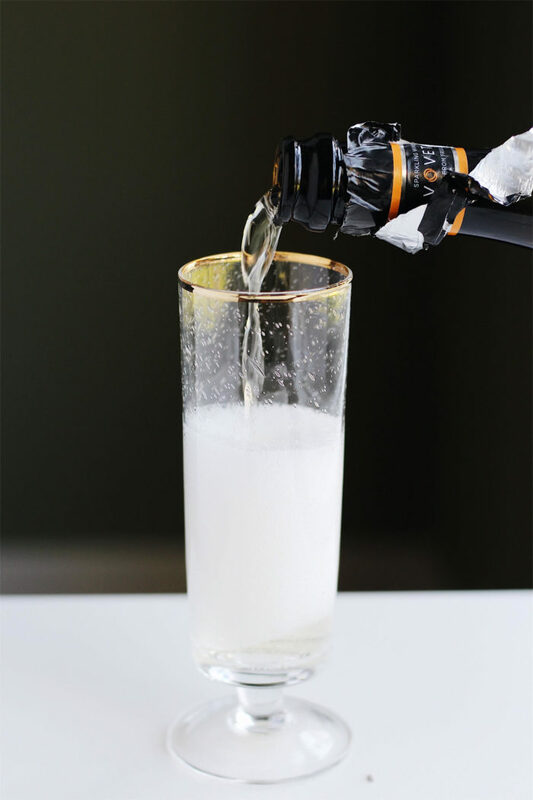 Fill a champagne glass 3/4 full with Prosecco. Top with the blueberry lavender syrup to taste. Garnish with fresh blueberries and fresh lavender sprigs. 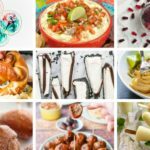 Thank you to Voveti for sponsoring this post. 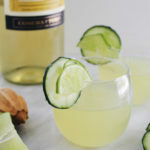 Check out their website for even more bubbly summer libation inspiration. 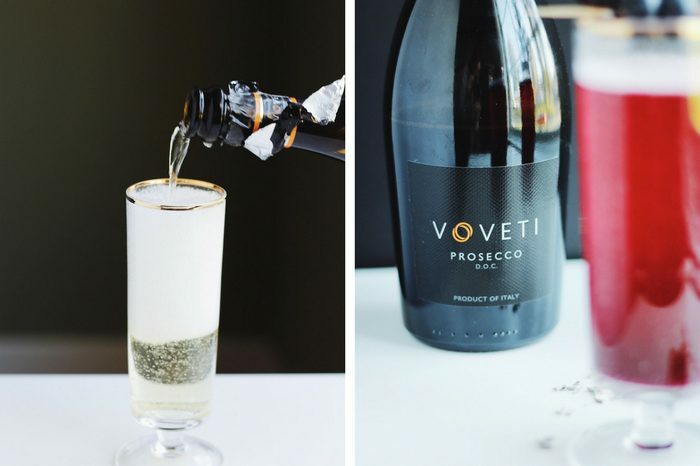 What is your favorite way to enjoy Prosecco during the summer? Let me know in the comments below! The mixture didn’t solidify into syrup, it remained a liquid. I followed the steps and proportions; what do you think I may have done wrong? Hi Priscilla, did you use fresh blueberries or frozen? Blueberries are high in natural pectin and mine turns into a thick syrup every time. It’s possible the blueberries didn’t break down enough, which might be caused by not cooking for long enough. Did the blueberries pop, break down, and simmer for long enough? So sorry you didn’t have success.